Pickles. Spiced Gooseberries. Mrs. Matson. 8 pounds gooseberries, 4 lbs. sugar, 1 pint vinegar, 1 ounce ground cinnamon, 1 ditto cloves. 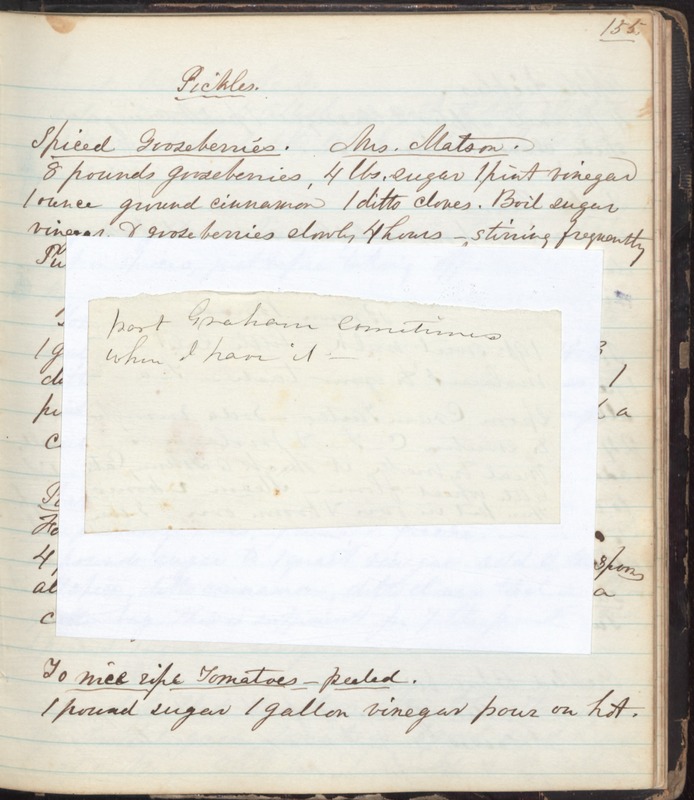 Boil sugar vinegar and gooseberries slowly 4 hours -- stirring frequently [Part of page missing, overlay reads "part Graham sometimes when I have it--"] To nice ripe tomatoes - peeled. 1 pound sugar, 1 gallon vinegar, pour on hot.